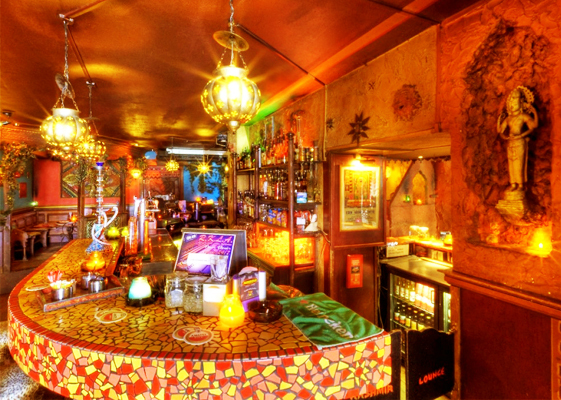 The Kashmir Lounge has, on many occasions, been labelled the greaest hangout/coffeeshops in Amsterdam. It’s hard to think of too many points against such a statement. There is something for everyone in the Kashmir, featuring a highly popular smoke room as well as a sought after alcohol bar – split into two separate sections, of course. Located next to Vondelpark, it is in prime position for a chill following a day of exploring and cycling around the popular tourist hot-spot, however Kashmir always has a presence of local, friendly faces. On those sunnier days, there is also a huge sun terrace! The coffee shop-come-bar has a stunning Moroccan-esque decor and has a regular turn of DJ’s taking to the decks to provide entertainment whilst you sit with your alcoholic beverage or your smoke and one of the many juices, coffees and snacks.